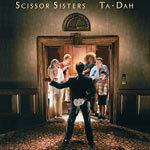 Scissor Sisters Biography, Discography, Music News on 100 XR - The Net's #1 Rock Station!!! 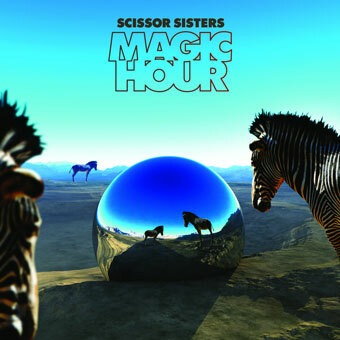 This Alternative Pop-Rock outfit, who emerged from the New York City's live circuit, was founded at the start of the new millenium by singer Jake Shears and multi-instrumentalist Babydaddy; the group's early line-up also included the only female member, singer Ana Matronic, guitarist Del Marquis and drummer Paddy Boom. In early 2004 the group kicked off their first tour in the U.K. and released their self-titled debut album peaking at #1 on the British Sales chart. 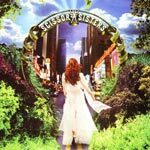 In the U.S. the disc hit #1 on the Billboard's Top Heatseekers and reached the #102 spot on The Billboard all-genre Top 200 Albums charts. It included the Adult Top 40 hit "Take Your Mama" which also ascended into the U.K. top 20 and was followed by a second British charting single, "Laura". In September 2006, the quintet released their sophomore effort, "Ta-Dah"; it debuted at #1 in U.K. and at #19 on the American Billboard Top 200 Albums chart led by the hotly-tipped Elton John collaboration, "I Don't Feel Like Dancin'" which peaked at #1 in Australia, Great Britain and several other European countries.